Varela sings about the stuff of newspapers and textbooks: immigration conflicts, the US blockade, Cuban state censorship, post-Soviet world politics. But he does so with the musicianship of a virtuoso (alternately rock, folk and jazz) and the imagery of a poet. Unlike Varela’s Cuban fans, I don’t hear the traumas and dreams of my youth narrated in his music. Rather, I have found evocative and instructive examples of epic poetry. The 1961 child migration scheme Operation Peter Pan – the topic I initially came to Cuba to research ten years ago – forms the backdrop for one epic, “Jalisco Park.” Images of empty playgrounds, flying airplanes, and absent friends tell the story of Cuba caught in the Cold War in the 1960s. He didn’t want to change any parts, and now it doesn’t move. One of Cuba’s old American cars, for which the island is famous – stands as a metaphor for what happens when one doesn’t change or update things (cars, Revolutions) that were built in 1959. In this case, the metaphor hides in plain sight. 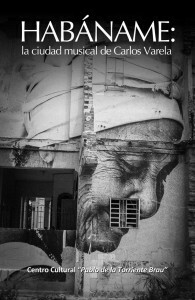 A decade later, a random comment by my Cuban colleague in the film archives, about Varela’s importance, became a book. It was easy find people who shared the opinion that Varela’s thirty-year career merited serious reflection. Our book came out in Cuba last February during the Havana Book Fair, and the English version will be launched this fall in Kingston and Toronto with concerts by Varela and his band. Contributors include Cuban music scholars, U.S.-based musicologists, the former British ambassador to Havana, for whom Varela was a similarly instructive guide to the heart of Havana, and the US musician Jackson Browne, who also counts himself as a fan. A small army of friends helped to translate the lyrics into English. Returning to what is, for me, more familiar ground after this Cuban research, I now think about Canadian history differently. Canadian historians such as Ryan Edwardson and Stuart Henderson have done some great thinking in this country about how music – to paraphrase Simon Frith – doesn’t just reflect people, it produces them. Steffen Jowett has just completed “No Quiet Revolution: A Sonic History of Montreal, 1965-1975,” an innovative dissertation on 1960’s Montreal that illustrates beautifully how urban soundscapes – of which music is just one part – can reveal the depths and complexities of stories or conflicts we thought we already knew. I recently re-encountered Gordon Lightfoot’s “Canadian Railroad Trilogy” and better appreciated what a testament it is to the progress narrative of settler colonialism. That “green dark forest” “too silent to be real” awaiting the improving gaze (and apparatus) of Europeans; it’s hard to imagine a more fitting soundtrack to Canadian imperial dreams. I always hated that song, now I better understand why. “What does history sound like” is a surprisingly simple question, which can yield some terrifically interesting answers. 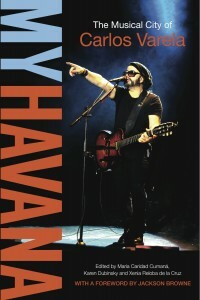 My Havana: The Musical City of Carlos Varela (University of Toronto Press) will be launched on October 30th at 7:30pm in Kingston at the Isabel Bader Theatre for the Performing Arts and on November 2nd at 8:00pm in Toronto at Lula Lounge .